America, The Animals, The Band, The Beatles, Blondie, Boston, David Bowie, Jackson Browne, Buffalo Springfield, Jimmy Buffett, The Byrds, J.J. Cale, The Cars, Harry Chapin, Eric Clapton/Blind Faith, Eric Clapton/Cream, Creedence Clearwater Revival, Crosby, Stills, Nash and Young, Doobie Brothers, the Eagles, Fleetwood Mac, the Grateful Dead, Janis Ian, Billy Idol, Iron Butterfly, Jethro Tull, Journey, Loggins & Messina, Joni Mitchell, Van Morrison, Mott The Hoople, Pink Floyd, Procol Harum, R.E.M., the Ramones, Rod Stewart, Santana, Sonny and Cher, Spencer Davis Group, Bruce Springsteen, James Taylor, Ten Years After, George Thorogood, Tom Petty & The Heartbreakers, Traffic, Robin Trower, Van Halen, Yes, Neil Young, The Zombies, ZZ Top, and many more!!! 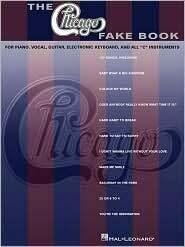 This fantastic new fake book for all "C" instruments features melody lines, lyrics and chords for more than 350 great songs from 1954 to 1964. Includes an artist index, and contents listing by song title. All Alone Am I * Alley-oop * Alone at Last * Baby, It's You * Barbara Ann * Be-Bop-A-Lula * Big All Alone Am I * All Shook Up * Alley-oop * Baby I Need Your Lovin' * Barbara Ann * Big Girls Don't Cry * Blue Velvet * Calendar Girl * Chains of Love * Crying * Daydream Believer * Diana * Fever * Fun, Fun, Fun * Green Onions * Heartaches by the Number * Hey, Good Lookin' * In My Room * I Fall to Pieces * I Walk the Line * It's Now or Never * It's My Party * Leader of the Pack * Louie, Louie * (You've Got) the Magic Touch * My Prayer * Peggy Sue * (You've Got) Personality * Puppy Love * Put Your Head on My Shoulder * Rebel 'Rouser * Rock Around the Clock * Rockin' Robin * Sixteen Candles * Sixteen Tons * Stand by Me * Surfin' U.S.A. * A Teenager in Love * Tequila * Twist and Shout * Wake up Little Susie * Girls Don't Cry * Blue Velvet * Blueberry Hill * Can't Help Falling in Love * Chains of Love * Chantilly Lace * Crying * Dancing in the Street * Diana * Don't Be Cruel (To a Heart That's True) * Fever * Fun, Fun, Fun * Green Onions * Hard Headed Woman * I Walk the Line * It's My Party * and more. All Right Now * Amanda * American Woman * Angie * Another One Bites the Dust * Baby, I Love Your Way * Back in the U.S.S.R. * Barracuda * Beast of Burden * Can't You See * Carry On Wayward Son * Centerfold * Cocaine * Come Sail Away * Don't Do Me Like That * Don't Stop * Dream On * Dust in the Wind * Every Breath You Take * Free Ride * Hurts So Good * I Shot the Sheriff * Imagine * I Want You to Want Me * Imagine * It's Still Rock and Roll to Me * Killer Queen * Lay Down Sally * Layla * Lucy in the Sky with Diamonds * Maggie May * My Generation * Nights in White Satin * Owner of a Lonely Heart * Piano Man * Point of Know Return * Refugee * Rhiannon * Rock and Roll All Nite * Roxanne * Something * Summer of '69 * Sunshine of Your Love * Susie-Q * Take the Long Way Home * Tears in Heaven * Walk This Way * We Will Rock You * White Room * Wonderful Tonight * You Ain't Seen Nothin' Yet * and lots more! Includes melody lines, lyrics and chord symbols for 200 songs recorded by the King of Rock N' Roll. Ain't That Loving You Baby * All Shook Up * Always on My Mind * An American Trilogy * Any Day Now * Any Way You Want Me * Are You Lonesome Tonight? * Baby, Let's Play House * A Big Hunk O' Love * Blue Christmas * Blue Eyes Crying in the Rain * Blue Hawaii * Blue Moon * Blue Moon of Kentucky * Blue Suede Shoes * Bossa Nova Baby * Can't Help Falling in Love * Change of Habit * Crying in the Chapel * Don't Be Cruel (To a Heart That's True) * For the Good Times * Frankfurt Special * G.I. Blues * Girl Happy * Girls! Girls! Girls! * Green Green Grass of Home * Heartbreak Hotel * Help Me Make It Through the Night * Hound Dog * I'll Be Home on Christmas Day * I'm So Lonesome I Could Cry * The Impossible Dream (The Quest) * It's Now or Never * It's Over * Jailhouse Rock * Kentucky Rain * King Creole * Love Me Tender * Make the World Go Away * Merry Christmas, Baby * Old Shep * Return to Sender * Suspicious Minds * (Let Me Be Your) Teddy Bear * Treat Me Nice * Unchained Melody * Viva Las Vegas * You've Lost That Lovin' Feelin' * many more! 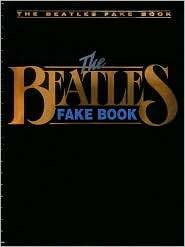 200 of the Beatles' hits arranged in fake book format. All My Loving · All You Need Is Love · And I Love Her · Baby, You're a Rich Man · Back in the U.S.S.R. · The Ballad of John and Yoko · Blackbird · Can't Buy Me Love · Come Together · A Day in the Life · Day Tripper · Dear Prudence · Do You Want to Know a Secret · Drive My Car · Eight Days a Week · Eleanor Rigby · The Fool on the Hill · and many more. This comprehensive collection essential for Chicago fans features 187 songs in fake book arrangements for piano, voice, guitar, electronic keyboards, and all "C" instruments. 25 or 6 to 4 · Ain't It Blue · Anyway You Want Me · Baby What a Big Surprise · Beginnings · Colour My World · Does Anybody Really Know What Time It Is? · Feelin' Stronger Every Day · Free · Gone Long Gone · Hard Habit to Break · If You Leave Me Now · Just You 'N' Me · Make Me Smile · Now More Than Ever · Saturday in the Park · You're the Inspiration · many more. 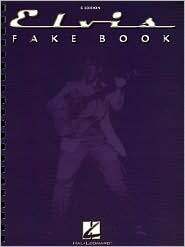 The Rolling Stones Fake Book includes 167 classic Stones songs recorded between 1963 and 1971 -- from early blues covers (Chuck Berry and Buddy Holly songs) to the psychedelia of Their Satanic Majesties Request. All songs are in complete, professional-style lead sheets with fundamental instrumental riffs and figures included. 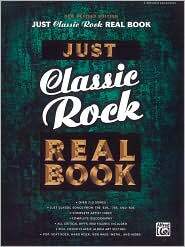 There is also a special guitar TAB section, featuring the pivotal guitar riffs and solos from 29 of their most legendary songs, an introductory essay, a full-color ABKCO years discography (with album art), and 40 pages of classic early sheet music covers reproduced in full color. 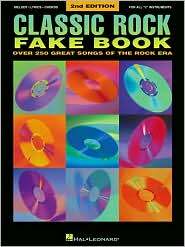 The ultimate Rolling Stones songbook! This page updated on March 30, 2019 .